​Let me begin by clearing something up, right from the get-go: you will not be forced to hear me sing today, no sir. Never fear, readers. I leave that unlucky fate to the inside of my shower and my poor car, Moneypenny. She's an attentive and unbiased listener and loves me no matter what, thank you very much. Now to the matter at hand. If you're reading this, you are likely the attentive and unbiased audiences of your own young singers (the sound you hear is my wonderful parents applauding you from afar). 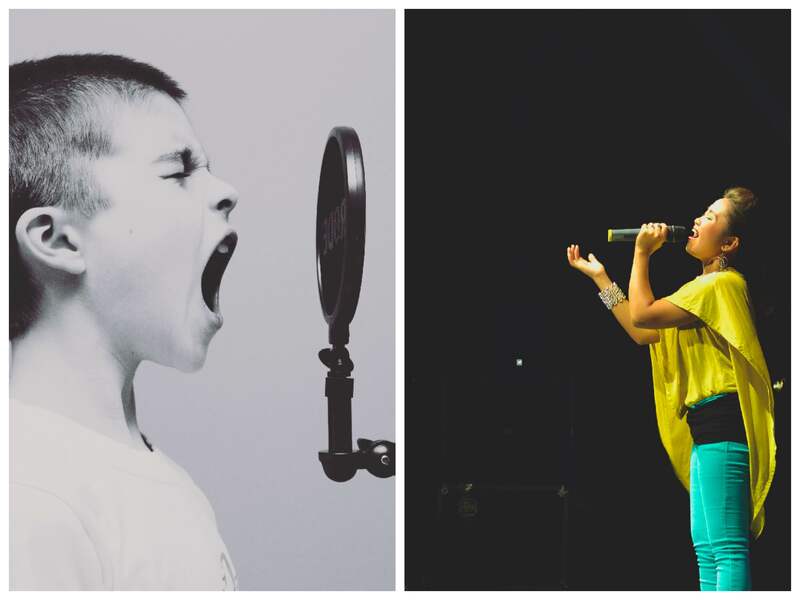 If they have talent, a love of competing, or even a convenient combination of the two, take a look at these vocal competitions for students. The American Protégé International Vocal Competition of 2018 is an excellent opportunity for young vocalists to perform solos and ensemble pieces in a competitive environment. Students of all nationalities and ages are eligible to participate in this event. Winners will be chosen in each age group, with prizes ranging from a $300 scholarship to a recital performance at New York City's Carnegie Hall. Participants must submit the online application form as well as a video audition and biography. For more information on these requirements and associated fees, click here. All applications for participation in this competition are due by June 10th, 2018. The Youth Vocal Competition of the Schmidt Institute brings a musical competitive event to more than ten locations throughout the United States. The William E. Schmidt Foundation, the overarching charitable organization behind it, gifts upwards of 150 art students with scholarships to the Institute. Now in it's thirtieth year, the Youth Vocal Competition provides high school students in their sophomore, junior, or senior year the chance to win $2,500, master classes with renowned musicians, and more. Application requirements and deadlines vary depending on the regional competition, so click here to learn more about how to get involved. A repeat offender on these lists of mine, the National YoungArts Foundation provides, once again, an amazing opportunity for your, dare I say, young artist. The voice competition is open until October 13th, 2017, and encompasses classical, jazz, popular voice and singer/songwriter stylings. Participants can receive up to $10,000 and fight for the chance to take master classes with accomplished professional vocalists. Winners will also become eligible for nomination as a United States Presidential Scholar in the Arts. "Strong auditions should demonstrate a mastery of technique, the ability to connect to material with a unique personal style, and have the ability to convey the ideas, themes, and narrative of each song." Additionally, there are various application requirements specific to each musical style, so click herefor more information. All those ages 15–18 are eligible to apply. The Sarofim Vocal Competition at Southwestern University's Sarofim School of Fine Arts is the perfect opportunity for singers who prefer not to share the spotlight; solo vocalists, this one's for you. Not only is this a fabulous opportunity for high school singers to compete and learn through classes and workshops, it also provides a connection with college students pursuing careers in music and vocal performance. Singers must be able to perform three musical selections from memory: at least one must be in English, at least one must be in a foreign language, and at least two must be classical, with the option of utilizing a theatrical piece for the third. The competition will take place on Saturday, December 2nd, 2017 at the University, with online registration opening in September of this year. Here's another great thing I've mentioned before: The VSA Arts International Young Soloists Program, where musicians with disabilities from far and wide compete annually. Every year, the award is given to various musicians and musical ensembles from the United States and around the world. All individuals under the age of 25 with disability are eligible to apply. For international applicants, any applicant under the age of 30 is eligible. Applications are due in November, with the final due date being released in early fall. Stay tuned to their website for more information. The Opera Columbus Cooper-Bing Vocal Competition is unique in that its aim is to recognize and encourage young operatic talent. Oh, and the grand prize is a cool $10,000. Application information for the 2018 competition will be announced later this fall, with the finals taking place in May of next year in Columbus, Ohio. Thursday Musical's Young Artist Scholarship Competition is open to students in grades 7–12, as well as those in undergraduate or graduate programs in Minnesota, South Dakota, North Dakota, Iowa and Wisconsin. All vocalists are eligible to compete. Online applications open on November 1st, 2017 and close on January 8th, 2018 at 7 p.m.
For a surefire way to bring harmony to any resume or online portfolio, check out KudosWall and KudosWall Pro, your easy and efficient resume-builder and online trophy case.